A group of tourists was met with a furry surprise when they went to gear up for a dive on a liveaboard boat near the Norman Reef in Australia. Sorting through the wetsuits, a diver came across a live bat hiding out between them. "We sort of frightened it a bit getting the wetsuits out," diver Darren Miller, who was traveling with the group Deep Sea Divers Den, told The Cairns Post. "It flew around for 15 minutes then hung onto the railings. We felt bad for the poor thing." The most mysterious part of the story is that the boat is always moored at sea, so it's unclear how he got there in the first place -- the reef is located about 40 miles away from the shore. 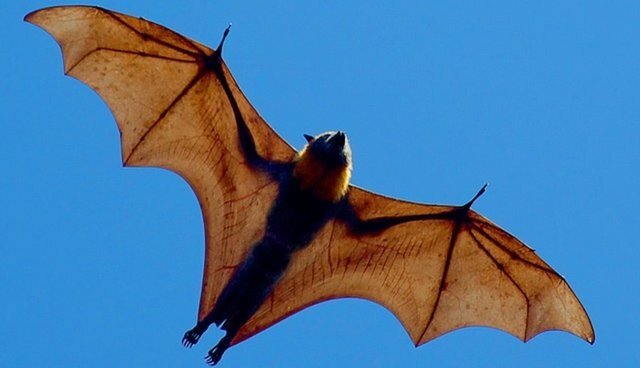 It's likely that the furry guy attached himself to someone's gearing, seeing that 40 miles is about 30 miles longer than bats can usually fly. The guests tried to feed the animal banana chunks and water, but he retired to his den among the wetsuits. He soon flew away though -- hopefully to make the long trek back to dry land.